For a long time I didn’t have many resources for switch users in my SLP bag of tricks. I’ve recently devoted more time to finding new websites that are switch accessible (can be controlled by a switch) and want to share them! The following websites have great free resources to use with kids or adults who are physically impaired. These sites are also great to use on a touch screen computer. Instead of using a switch to control the computer, the user can tap the screen (if they are able to). If not, then use a switch! For anyone new to the world of switches, you need two basic things to start: a switch and a switch interface. The switch interface connects the switch to the computer (making it work!). Then, the user can hit the switch and make something on the computer happen, usually a video turns on or the student can take a turn in a game. This is a Jelly Bean switch. It is one of the simplest switches. The user taps the switch to click. This website has music videos and stories to view. They have a wide variety of music videos from popular singers to songs from movies. The stories are pretty limited, I only use one called The Sleepy Farmer, but the music videos are fantastic! I’ve used them with a wide range of students and they all enjoy them. 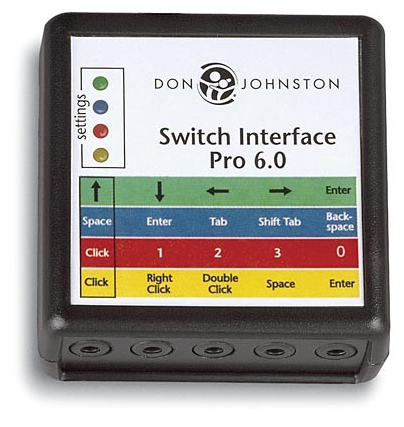 This site is perfect to use with students who are using switches at the cause and effect level (they are beginning to understand that if they hit the switch it will cause something to happen). This site offers online switch enabled applications which target skills from earlier developing experiential and cause and effect to more complicated tasks of switch building, timed activation, targeting, and row scanning. It can be used by young children or adults. I like this site because it’s free and offers different levels of switch use. Users can start off at the cause and effect level and progress to more challenging levels of targeting and scanning. This is also friendly to the visually impaired because the background colors can be changed. This is another free switch website which offers tons of switch accessible videos. There are many categories to pick from but they are geared towards higher cognition. The concepts include educational categories such as nouns, verbs, singing, telling time, math, and social categories of going places and behavior. I use the songs category with my lower cognition kiddos. This website is available in many languages so don’t freak out if you stumble across a page not in English! The first time I found this it was in Swedish. It offers memory games, puzzles, language games, and even Sudoku all of which can be used with a switch. This site offers a couple of free activities but costs an annual subscription fee to access the whole thing. For $62 you get 80 games and activities that can be used by multiple switches and eye gaze. This would be a good option for a classroom that will use it all the time. For traveling therapists I recommend using the 10 free games. Check out the fishing game for any users who have somewhat high cognitive skills. Offers 12 free switch accessible games and more for purchase. The majority of the games are cause and effect but one is a 3 stage timing game. Check out the Crazy Chicken game- a fun timing game where you catch eggs in a basket and must hit the switch at the right time to catch them. Free switch games that you have to download onto your computer. The types of games are cause and effect and timing. They have lots of options but aren’t as quick and easy to use as ones that don’t require downloading. This is one of the more limited resources because it wasn’t meant to be a switch activated site. 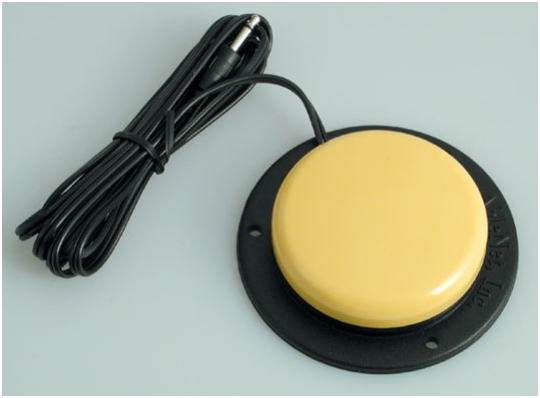 It was developed by parents to teach kids to use the computer and practice skills of pressing keys, using the mouse, and dragging items on the screen (which could be a useful teaching tool). The pressing keys games can be used as cause and effect switch games. Animated animals move and make noise once clicked on. Large library of arcade like games! This site is great for physically limited students who aren’t cognitively impaired because it gives access to video games. More fun advanced games modeled after arcade style or video games. Check out the game Switchbox Invaders which helps users develop and improve sequencing, timing and basic switch control skills. For further information regarding where to find switches and to view prices see AbleNet’s website. Do you know any more awesome switch websites?? Let us know! Sign up for our mailing list here to stay updated with our latest therapy tips, app announcements, and blog posts. Don’t forget to follow us on Twitter, Pinterest, and like us on Facebook! Thank you so much Brittany for this website. My students now can have access to games with their switches.